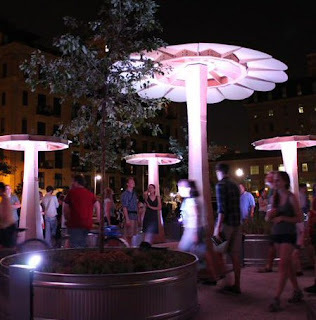 Architect Wil Natzel explored architectural ornamentation for his part of the Northern Spark festival in Minneapolis last June. With the help of Rhino, he created and installed Night Blooms, a temporary cardboard forest. From his designs, he created trees by using Rhino to unfold the 3D objects into flat patterns. More information on the process in Wired Magazine . . .